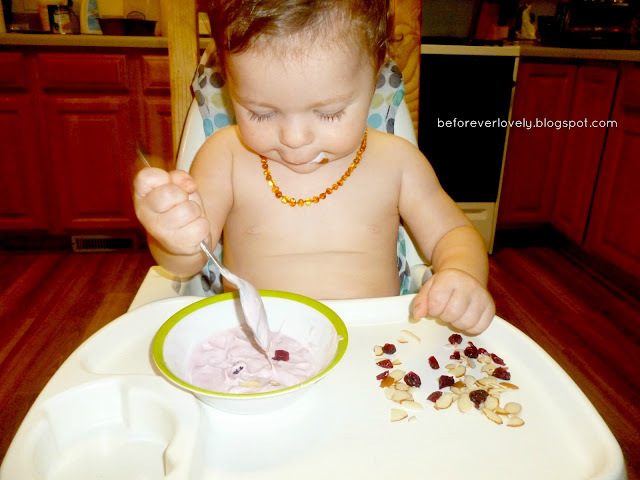 It was Chloe's idea to mix the almonds and cranberries in the yogurt, I love watching her experiment with food even if that means a bigger mess for me to clean! Also she is getting so good at eating from a bowl and spoon! 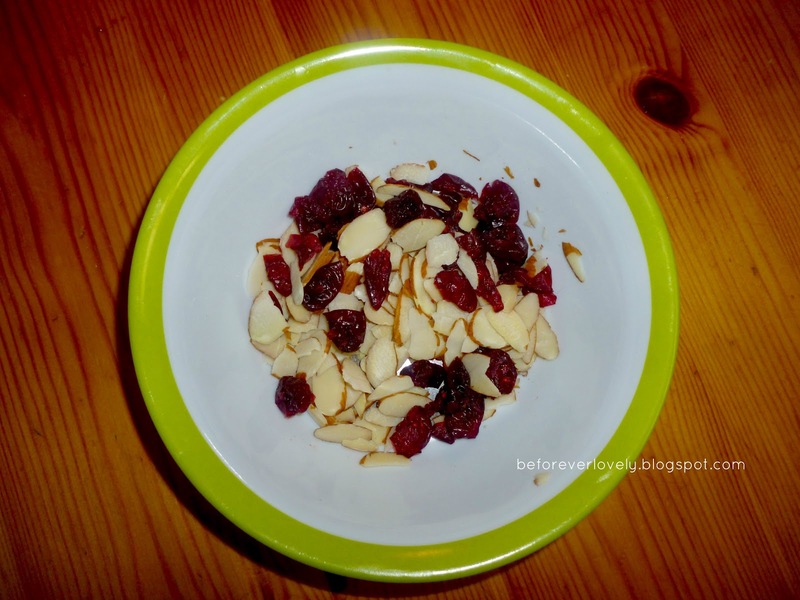 A favorite snack of Chloe's lately is a small bowl of Greek yogurt with sliced almonds and dried cranberries. 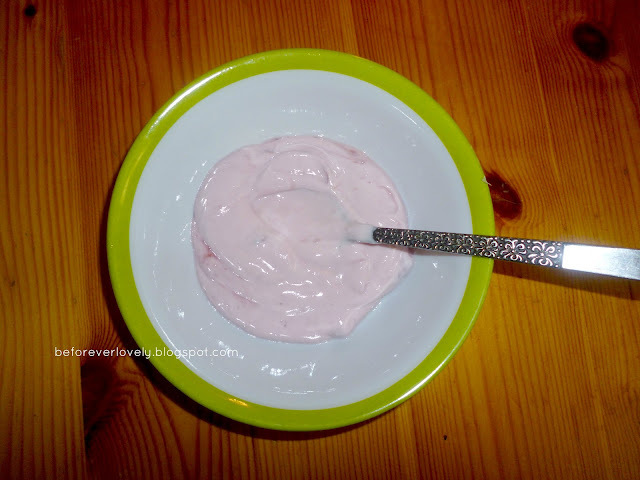 It's simple, delicious and most importantly nutritious! What is your your child's favorite snack to eat? Linking up with Marqaux and Leah for Snacktime Saturday. Thanks she is pretty proud of herself! lol so cute Chloe is the same way! 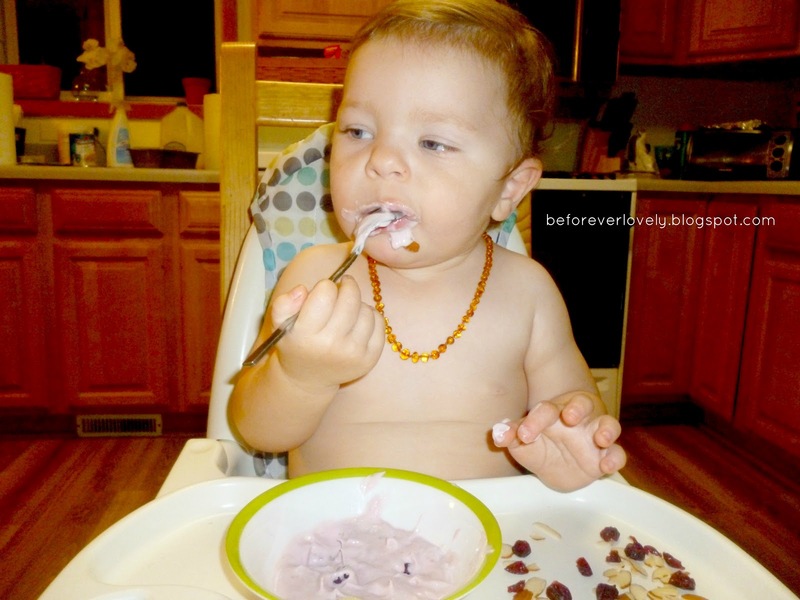 Both the boys love yogurt too with some sort of granola. Hummus and crackers with some cheese on the side are a big hit too. She is doing great with the spoon. Wolf on the other hand ,spoons are a mere accessory while he uses his other hand to fist food into his mouth. HA! It's just who he is. 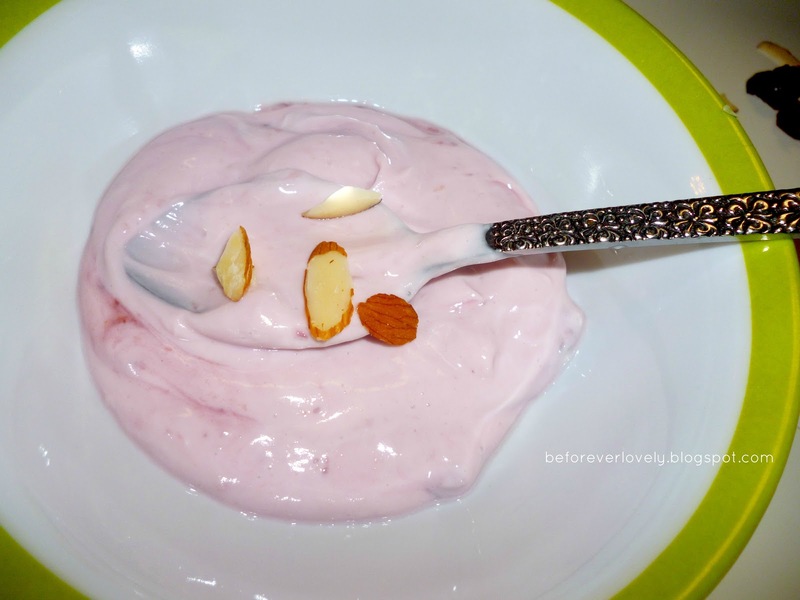 Yogurt with granola is a favorite of mine! and the hummus and crackers with cheese sound so yummy! Thanks, she is very into feeding herself these days lol! Haha that's so cute! Genius! I have never thought to add mix-ins to D's yogurt before now. But of course Chloe figured it out before me haha! Thanks for stopping by and linking up to Snacktime Saturday. Hehe she is a very smart girl!! 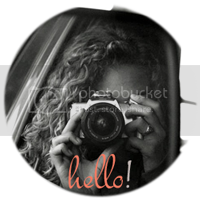 and your welcome, thanks so much for hosting this link party, I love reading about what other Mom's are feeding their children! SO glad to have found this. This will give me some great ideas when its my turn to feed my little one. Her snack looks so good, even I want some!